1 Dec : Grilling the government on its 2G spectrum allocation policy, the Supreme Court on Wednesday termed as improper the bypassing of the Prime Minister’s reservations by the Telecom Ministry which cannot function like a “private business house”. “There is more than what meets the eyes,” the court observed while asking the government several searching questions on its policy for allocating 2G spectrum. It noted that only 45 minutes was given to prospective licensees for submitting documents including demand draft and completing other formalities. The bench comprising justices G S Singhvi and A K Ganguly, in a sarcastic manner, wondered whether the government acted through telepathy to convey them about the impending allocation within a fraction of 45 minutes. It observed that the entire system has been brought to disrepute. “The Prime Minister had made his reservations clear which was not treated with respect. There are requirements of collective responsibility. Government is not like a private business house. Its action has to be reasonable and in public interest,” the bench observed while hearing the petition filed by NGO Centre for Public Interest Litigation on the spectrum scam. “In the context of sequence of events, bypassing the Prime Minister was not at all proper,” it said. “Would you not call this type of terms by the government as arbitrary,” the court asked when Solicitor General Gopal Subramanium was making submission on the policy related to the spectrum allocation. The court then said, “Government has to function predictably and reasonably.” “Look at the background. The minister (telecom) sent the file to the Law Ministry. The Law Ministry wanted it to be referred to the EGOM (Empowered Group of Ministers). It wanted it to be referred to the highest law officer of the country i.e attorney general. The matter was referred to the PM. These are the angles on which Prashant Bhushan, counsel for the NGO, is arguing, the bench said. The SG said he was only placing the relevant facts and conceded that reservations existed. 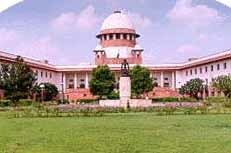 While Subramanium was making the submission, the bench said, “You are also holding an important office. We are only pointing out to the noble office you are holding,” and asked him to consider the sequence of events under which the spectrum allocation was made. “What is your opinion? Like officials, we can also ask questions from you on the issue,” the bench said. “In the sequence of events, unequivocally, reservations pointed out by the Prime Minister ought to have been given more attention and lot more importance. These reservations were entitled to the highest respect,” Subramanium said. “This certainly disturbed the CAG. On these materials, Bhushan made a case that there are prima facie material to proceed in the case,” the court said. The apex court brushed aside the Solicitor General’s submissions that TRAI was taking action against operators who have not followed their roll-out obligation after two years of allotment of spectrum. “TRAI has issued notice for cancellation. TRAI came to know about the irregularities, ineligibility and the roll-out obligation in 2010 only! But they were silent for two years. The regulator knew about the scarcity, it did not put cap on the number of applications,” the Bench retorted. Subramanium also tried to justify government’s decision to allot 2G spectrum in 2008 on the price of 2001 and said that it was done to maintain level-playing field between the existing operators and the 122 new licensees. However, the bench was not satisfied and said, “once you charge entry fee, then what is the problem in auctioning. Yesterday Bhushan cited example of 26 per cent share transfer by one company (Tata’s sale of 26 per cent stake to Docomo)”. On Subramanium’s submission that it was done keeping in view the tele density with optimum utlisation of spectrum for emerging market like India, the bench shot back,”do you think that India is an emerging player and not an evolving market now’.